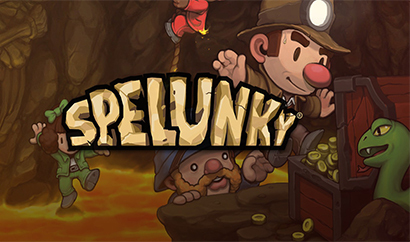 Developed by Derek Yu and Mossmouth, LLC, Spelunky is an indie platformer video game, available for the Windows, PlayStation 3, XBox 360, PlayStation Vita, and PlayStation 4 operating systems. It released originally in 2008 and has spawned an entire host of other games. The levels are completely randomly generated. As a result, players will never experience the same place twice in this charming world. 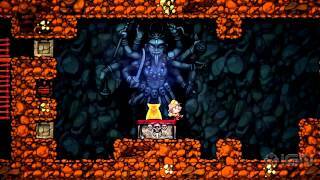 Adventure into a labyrinth of caves equipped with bombs, trusty grappling hooks, and treasure on the brain. Explore the depths cautiously, and encounter tons of different monsters. There is no wrong way to take on the challenges presented! The video game offers a rogue-like experience. Users carefully creep through a variety of puzzles while avoiding death at all costs. Monsters prowl the tunnels and traps spring up in random places. Merchants set up shop in the depths with lots of upgrades for players. 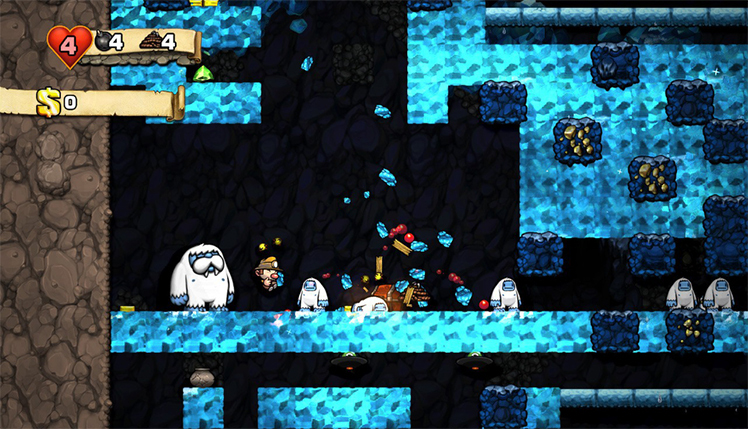 Try not to hang around too long, or the unbeatable ghost appears to chase players to their doom! 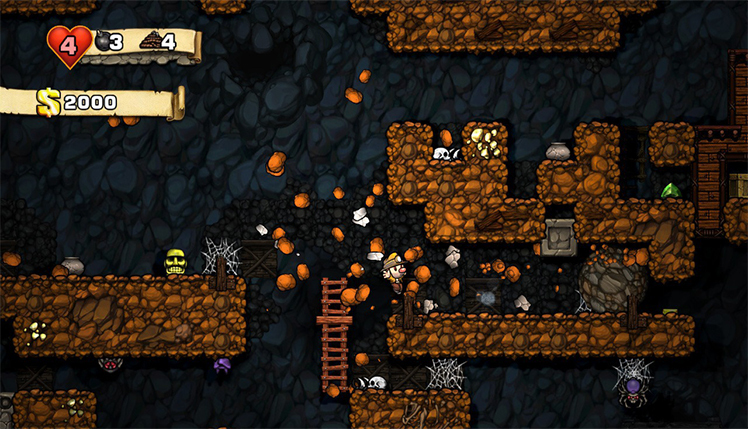 Spelunky bursts with unique features. The randomly generated levels ensure that every play is completely new. 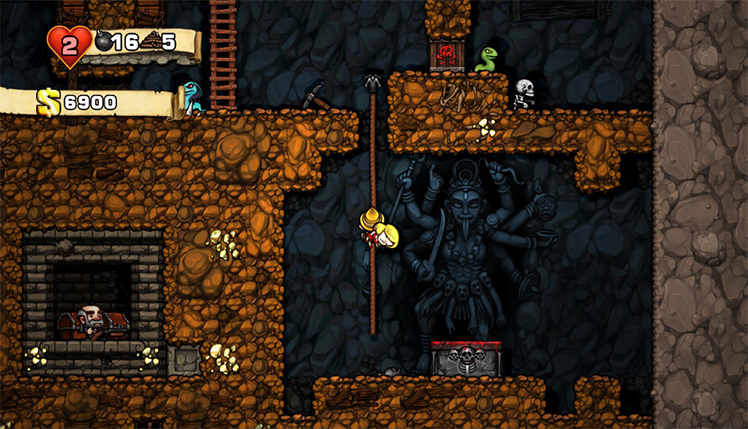 Spend hours exploring the first few levels, or work hard to traverse the depths below. The levels are all fully destructible as well. 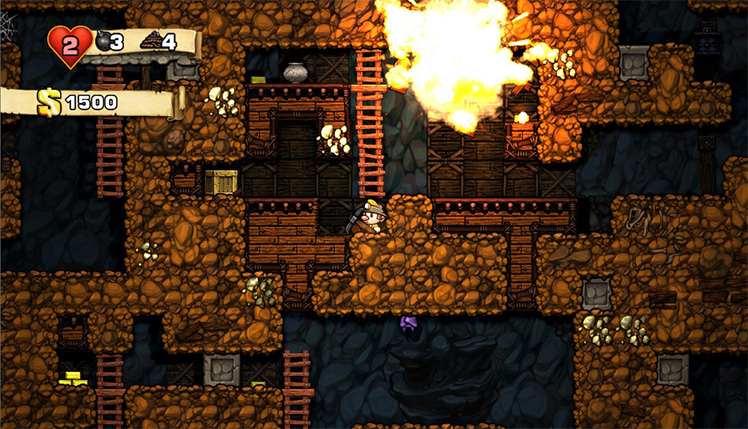 Using bombs, players smash their way to the treasure hidden within the rocky twists and turns. Play as up to 20 unique adventurers. 16 of those are unlocked by completing challenges in the game. Players carry around a dusty old journal that records loads of information. Check out discovered treasure names, monster types, upgrades, and special items. There is a drop-in co-op mode as well. Team up with friends to create chaos and see who racks up the most treasure. Greedy groups seek out emeralds, amethysts, and even the cursed golden statue. Be mindful, though, because traps abound. Spiders hang from the ceiling, awaiting unsuspecting spelunkers to wander into their clutches. Snakes slither through the corridors. 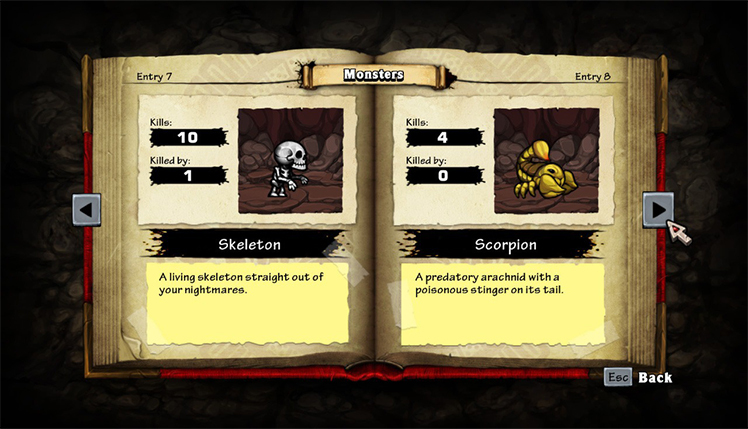 Skeletons, rats, and lots of other monsters create a thrilling sense of danger. Play as friends or foes with others or venture in alone. Whatever way players choose to embark will doubtlessly provide hours of entertainment. This video game is wildly popular. It won awards during its first release, and its HD re-release received equal acclaim. 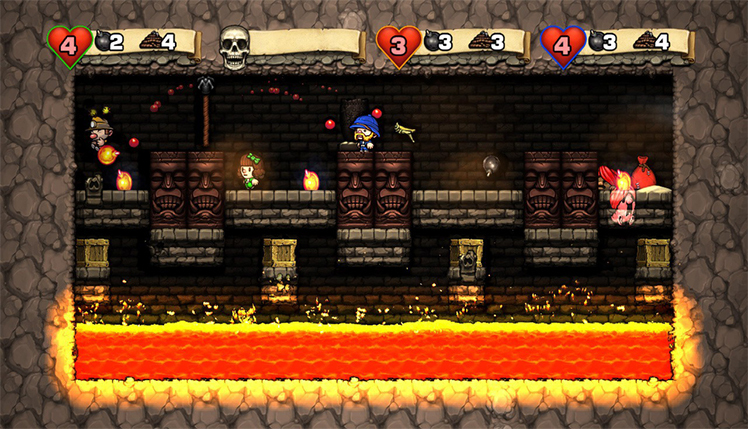 With rogue-like platforming, players rely on skill and adaptability in order to progress. Sling bombs to blow levels to smithereens or slink soundlessly through the tunnels. Climb ladders, repel down into new unknowns and make it through level after level of randomly generated monsters and treasure. The video game contains something for every explorer and is sure to delight players that love a platforming challenge. 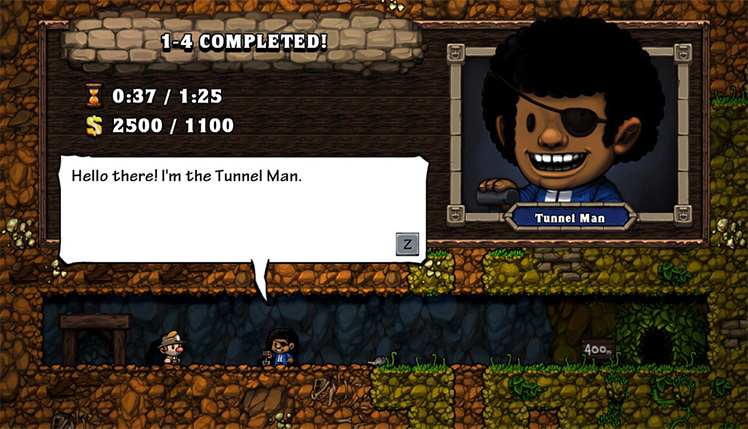 Explore caves and hunt for treasure in Spelunky. Carefully creep through a variety of puzzles while avoiding death at all costs! © 2018, Mossmouth. 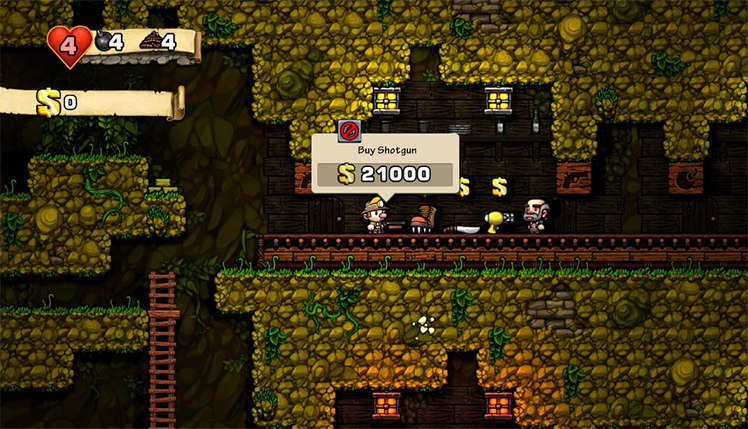 Mossmouth logo, Spelunky, the Spelunky logo, are trademarks or registered trademarks of Mossmouth. in the United States of America and elsewhere. All rights reserved.